Zebra Z-Ultimate 2000T White - 0.5" x 0.5" Thermal transfer polyester label. 4 labels across. 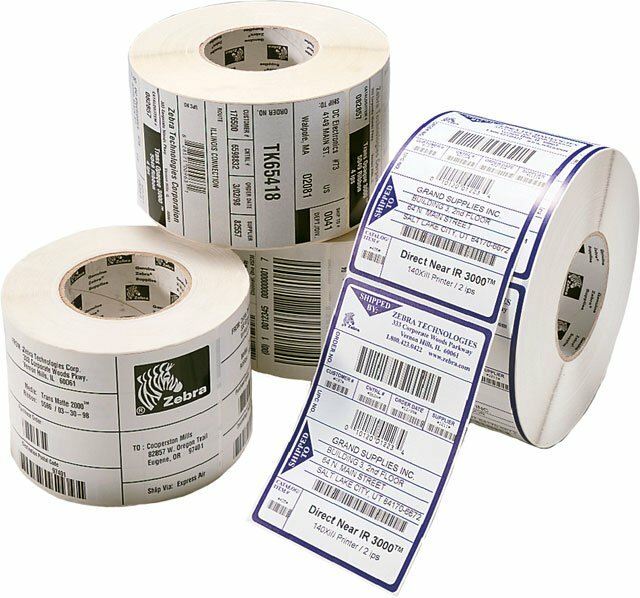 10,000 labels/roll, 4 roll case. Also available as a roll (Part# 10011971-R). The Zebra Z-Ultimate 2000T is a pearl white, gloss polyester thermal transfer label with a permanent acrylic adhesive. Ideal for applications that require outstanding print quality and unparalleled smear and scratch resistance. UL recognized for indoor and outdoor use when used with compatible Zebra Resin Ribbons. Top coating is suitable for fanfolding. Recommended for use in a wide variety of applications. Offers some resistance to chemicals and UV exposure. The Zebra 10011971 is also known as ZEB-10011971-CASE	.